While transportation remains one of the biggest issues for Russia, the country is trying to add speed to its trains, the most beloved way of travelling for most Russians. 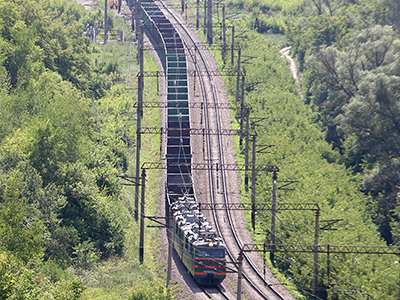 A high-speed railway connecting Moscow with the Urals is the latest initiative. 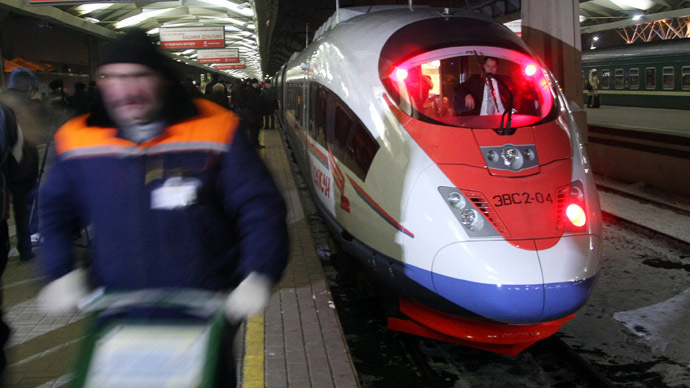 In autumn 2013 the Russian Government is due to consider the plan for High–Speed Railway–2, which will connect Moscow and the city of Ekaterinburg, in the heart of Urals. Travelling at up to 400 km/h on specially built track the trains will cover about 1600 km in 8 hours, which is 5 times faster than by regular train. The first high speed railway project between Moscow and Saint Petersburg is now being underway, and should be completed by 2017. High–speed transportation became a reality in Russia in 2009, when the 'Sapsan' train made it first trip between Moscow and St. Petersburg. In the summer of 2010 high–speed trains began running between Moscow and Nizhny Novgorod, and 'Allegro' trains started travelling from St. Petersburg to Helsinki later in December 2010. Among the other highly anticipated fast routes being discussed is a track between Moscow and Vladivostok in Russia’s Primorsky Krai. Currently the Sapsan and Allegro use conventional lines which has created problems for cargo traffic. “A decade ago developed countries clearly set themselves to divide cargo and passenger railways. 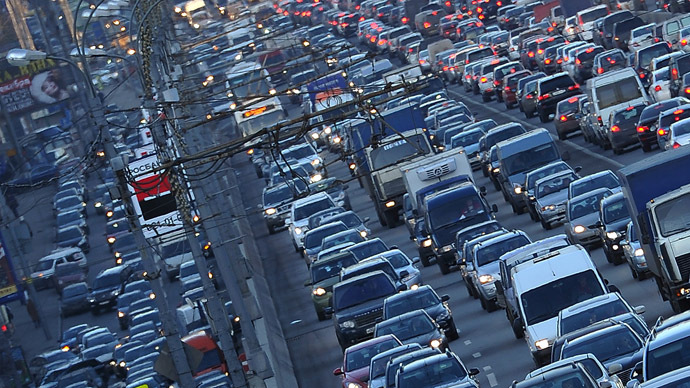 Russia’s tradition of rolling everything into one is very bad, from which we need to find an escape,” commented Mikhail Blinkin, a director at the Institute for Transportation Economics of the High School of Economics, to RBC. High – speed train or aircraft? With Russian’s historic love for trains, coupled with easier registration procedures and better access to train stations, over time high – speed trains could start posing a serious competition to Russian domestic airlines. 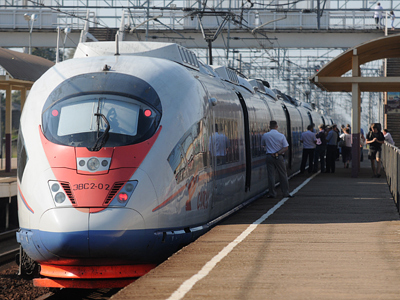 High – speed rail running through Moscow, Nizhny Novgorod, Kazan and Ekaterinburg could lure away about 80% of passengers from the air carriers operating in the country, which would mean loss of about $12.6 bn in revenue over 30 years, according to PricewaterhouseCoopеr's (PwC). But so far the airlines have remained calm, saying high speed trains will just help meet increasing overall passenger flow, leaving their operations untouched. “… such steps [developing high speed trains in Russia] are beneficial for both railway and airline companies,” RBC quotes the S7 Group. “Passenger flow on the routes Moscow – St. Petersburg and Moscow – Nizhny Novgorod has been constantly growing in the past years,” S7 added. In terms of the ticket prices, Sapsan trains have so far no evident advantage. The average ticket price for a trip between Moscow and St. Petersburg is about 2,500 roubles, which is about the same as a regular economy airline fare. With the project price tag now estimated at about 3 tn roubles, it’ll take decades to get a return on the investment. The government is expected to provide around 70% of the total necessary investment, with private investors contributing the remainder. At the moment its unclear who will invest in such an expensive venture. Among the alternatives being discussed by the Ministry for Economic Development, Finance Ministry, Transportation Ministry and Russian Railways are the money from the Pension Fund and the Fund of National Welfare. They have been thinking about placing the entire financing burden onto ‘fabulous’ private investors giving them future tax breaks.